This is a pinwheel machine but numbers can be entered from keys rather than via fiddly setting levers. The principle is just the same as the keys just move setting levers inside the machine. Because of the key setting, this machine is much more convenient and faster to use. 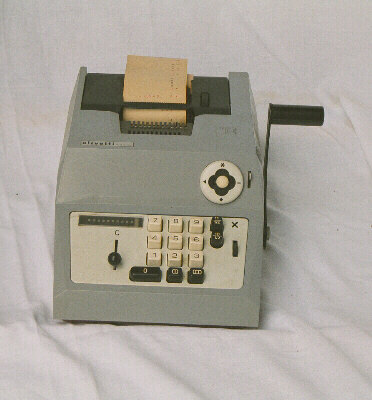 This machine dates from the 1950, but identical models were still in routine use in the 1970s. 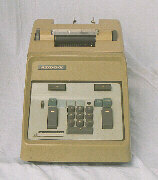 This machine dates from 1968 and is interesting because it is capable of performing either decimal or Pounds, Shillings and Pence calculations, selectable by means of a lever at the base of the machine. Pounds, Shillings and Pence, (also known as L S D) were the standard British currency until the early 1970s. There were twelve pennies to each shilling and twenty shillings to each pound. 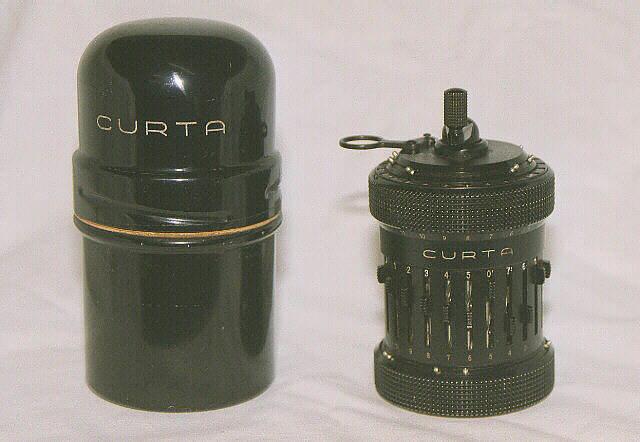 The Curta, shown here with its case, represents the peak of refinement and miniaturisation in mechanical calculators. Two models were produced, types I and II, between 1948 and the early 1970s. The Curta revised the use of the Leibnitz stepped gear principle. 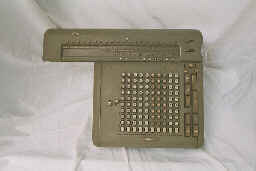 An electro mechanical printing calculator which will add and subtract. 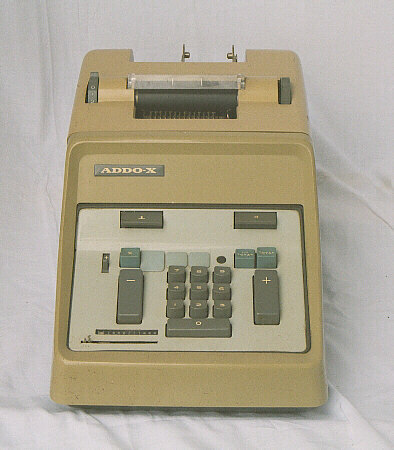 It was manufactured by the Swedish company ADDO, who referred to all their ten key machines as Addo-X. 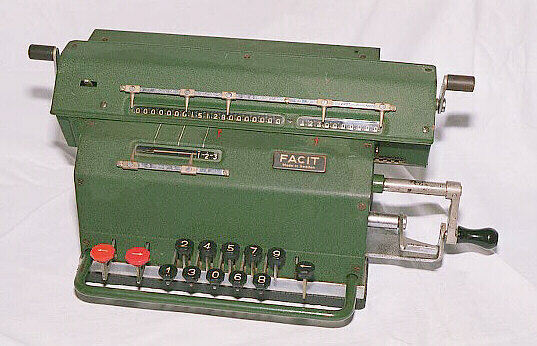 In the 1960s, Addo was merged with FACIT. 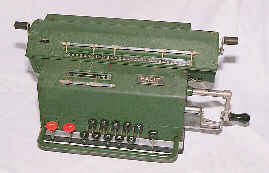 An electro mechanical calculator that will perform the four basic mathematical functions automatically. It is a wonderfully noisy device, division particularly so.